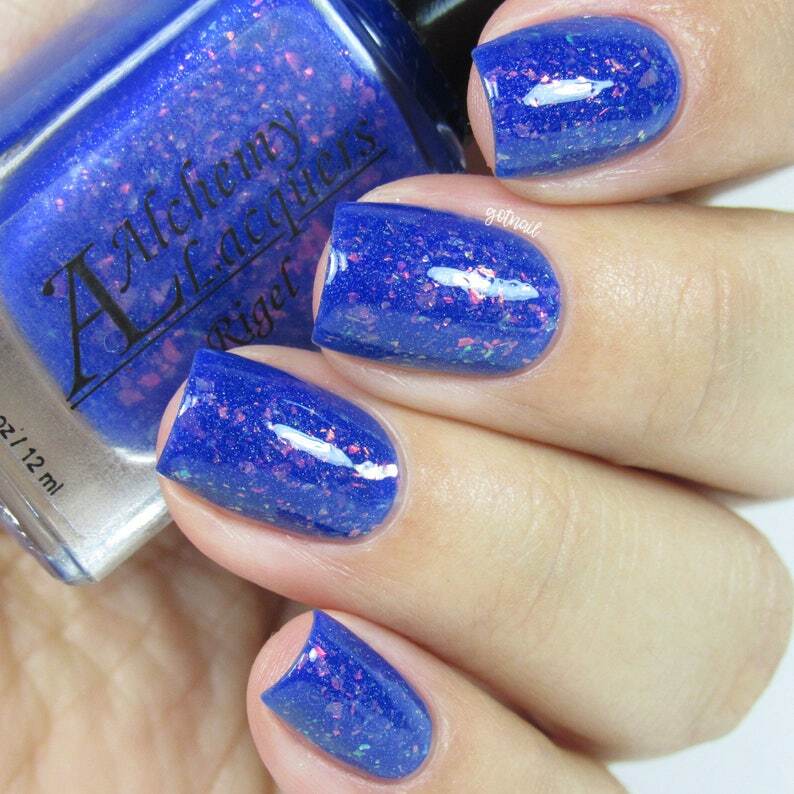 Rigel is an ultramarine blue jelly nail lacquer that contains red/orange/yellow/green shifting flakes. This nail lacquer also dries to a semi-matte finish. This listing is for one bottle (12.0 ml / .41 fl oz) of Rigel. Swatches, courtesy of @gotnail, @littlemermaidnailedit, and @dsetterfield74, display 2 to 3 coats of Rigel. Rigel is part of the Star Shards Collection. Beautiful, unique nail lacquers. Great quality, reasonable prices, timely shipping and a very nice seller to buy from too.